Insights and thoughts from our Partner Markus Kramer on core branding principles with broad applicability for any marketer, communications professional or business leader. Views are subjective and our own. October 18th, 2018. © Brand Affairs AG. This month marks a historic moment in Aston Martins forward history: James Bond’s favorite car brand is selling about 25% of its shares. Time to pause and reflect. Having been at the very edges of cliffs, it would be an understatement to claim that Aston Martin has had a rather radical history thus far. This is a serially loss-making company that almost disappeared more than once. But the genetic code inhaled into the brand by their founding fathers Lionel Martin and Robert Bamford in 1913 has always generated emotions triggering returns beyond money. Now in its second centenary and in the context of Aston Martin’s initial public offering (IPO) the ‘brand factor’ will play a key role in determining both valuation as well as Aston Martin’s ability to sustain and increase returns over time. So how then does ‘brand’ create value for Aston Martin? Luxury does not follow; it leads – often at the cost of polarization. Aston Martin focuses on the creation rather than the competition. In Aston’s case this is dimension has no negative connotation; it is not only deliberately polarising but remains understated and tasteful in doing so. The creation process doesn’t only involve the production of the powerfully performing vehicles but also the creation of value for customers, building the bedrock of desire for future sales. 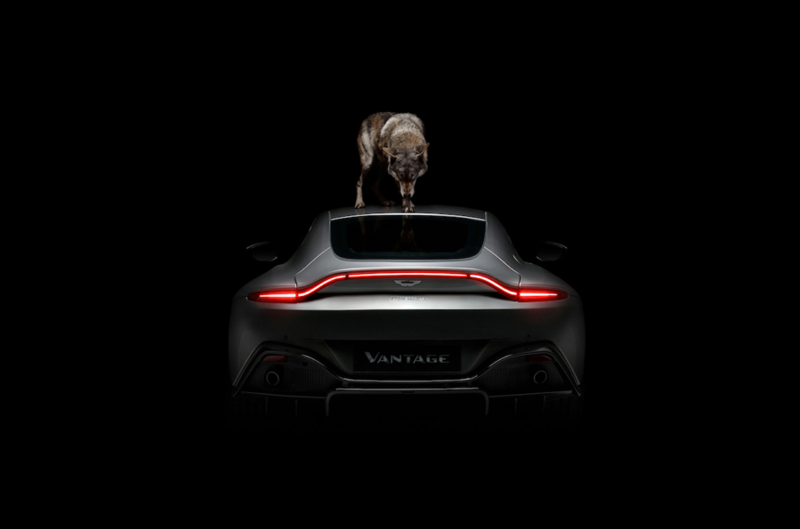 For Aston Martin the economics go beyond trying to grab a share of the luxury automotive market but instead to expand it by creating some of the finest pieces of automotive art-like vehicles. It is a different perspective altogether and as a result, competition becomes a lot less relevant. Gaining competitive advantage then becomes an outgrowth of the economies of quality where value is extracted above volume and as a consequence quality is prioritized over quantity. Aston Martin’s growth strategy includes plans to expand into markets it believes have strong growth potential. These include a number of developing markets that are now home to an increasing numbers HNWIs, including China and other parts of Asia as well as the Middle East. Whilst we are quick to jump to the conclusion that consumers in these territories will be aware of the brand, this is simply not the case yet. Anchoring the character of the brand will simply not be enough for bonding with Chinese consumers, as they do not have a ‘James Bond culture’, yet for instance. Aston Martin needs brand building outside its core markets. It will need to continue to lead on the product front with extreme halo cars such as the Valkyrie delivering otherworldly performance, yet create reachable attractiveness by offering points of entry that serve both lower price points as well as new customer segments. Adding a new SUV model with the DBX and inhaling a soul into the Lagonda brand will enhance the interest of potential shareholders. Clearly, such ambition requires huge levels of funding and on a rational level, a successful IPO is a great way to secure the brands long-term future. Associating its brand with James Bond as a character who transcends time solidifies the durability of the perceived value. Actors come and go, James Bond stays. CEOs come and go, the brand stays. So long as the British iconic carmaker continues selling beauty and soul rather than just power in performance (which is offered by other supercars, too), it will have a bright future. Aston Martin is not about a car. It is philosophy and a way of life that bonds across many dimensions. It is a one of a kind club of like-minded, passionate and wealthy enough individuals that raises its value. Customers’ enduring bonds and loyalty with the brand is what matters in the final analysis. Timing is everything. Especially when it comes to securing growth in the niche of luxury cars. This means the alignment of the product lifecycle, funding requirements and brand building has to work in perfect synchronization. As a preceding move, new models’ hitting media is, in many ways, more important than these cars finding customers and hitting the road. The results is a sharp increase in awareness, signaling how well things are being steered within. Aston Martin is certainly delivering on this, with the DB11 receiving fantastic reviews and a strong product pipeline demonstrating the brand’s ability to sustain the pace. Radiating aspiration beyond its core customer base is how Aston Martin makes sure it can punch way above his weight. However, it is not solely about the intangibles beautifully captured in the brand. In other words, appealing appearance alone is insufficient to claim such territory in the minds of people. It is the essence of the brand, which is realized partly through the tangible object of desire itself as well as through the heights of internal culture. Investors wouldn’t be willing to put up their money just for ‘fluff’, which is why having a strong brand and marketing ecosystem in place along with the ability to demonstrate traction, is essential. In 2017 as sales hit a record £876m ($1.2bn), we saw a 48% improvement over the previous year.4 Sales may increase by about 60% in 2020, according to IHS market estimates.5 In the long-term analysis, the fact that the brand can stand the test of time makes it somewhat future-proof – despite its chickened past – and this will add to the appetite of investors. 1 Alexander F. Brigham Stefan. “Your Brand Reputational Value Is Irreplaceable. Protect It!” Forbes, Forbes Magazine, 19 June 2013, www.forbes.com/2010/02/01/brand-reputation-value-leadership-managing-ethisphere. 2 Kramer, Markus, and Tofig Husein-zadeh. “Why Has Luxury Got It Right.” BrandQuarterly.com, BrandQuarterly, 2017, brandaffairs.ch/en/luxury-got-right/. 3Key, Alys. 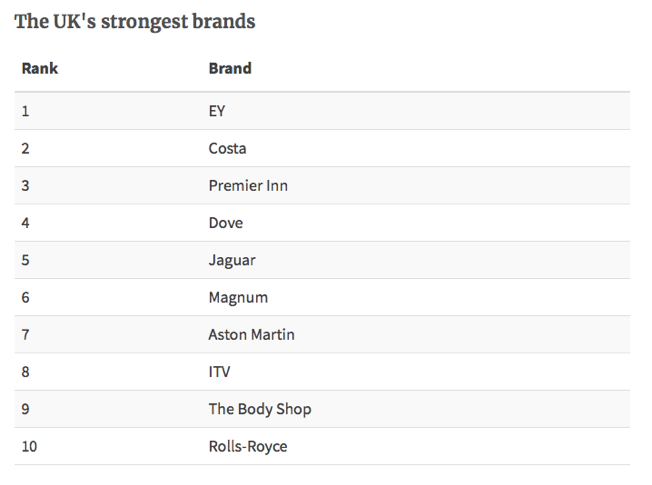 “From Shell to Aston Martin: The UK’s Most Valuable Brands Ranked.” Cityam.com, CityAM, 23 Apr. 2018, www.cityam.com/284460/shell-aston-martin-uks-most-valuable-brands-ranked. 4Finnegan, Aaron. “COMPANIESAston Martin IPO: What Does It Mean?” TheMarketMogul, 9 Mar. 2018, themarketmogul.com/aston-martin-ipo/. 5Ebhardt, Tommaso, and Kiel Porter. “Aston Martin Seeks $6.8 Billion Value in Potential IPO.” Bloomberg.com, Bloomberg, 8 Jan. 2018, www.bloomberg.com/news/articles/2018-01-08/aston-martin-is-said-to-seek-6-8-billion-value-in-potential-ipo.